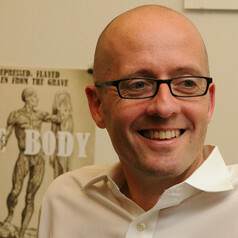 Tim Lahey is an HIV doctor, researcher and clinical ethicist. He has degrees from Georgetown University (AB), Duke University School of Medicine (MD) and Harvard Medical School (MMSc). He completed clinical training at the University of Utah and Beth Israel Deaconess Medical Center as well as a research fellowship at Massachusetts General Hospital and the Partners AIDS Research Center. After 13 years at Dartmouth's Geisel School of Medicine, Tim is medical director of ethics at University of Vermont Medical Center and Professor of Medicine at the University of Vermont. Tim has published in The New York Times and online at The Atlantic, Scientific American, and Health Affairs.